Your home is likely your most valuable and expensive asset. You should prepare your home so that it is able to withstand the various hazards that might impact the structure. Hazard Mitigation is taking action now – before the next disaster – to reduce human and financial costs later. Hazard Mitigation doesn’t have to be complicated or costly. There are many ways to reduce your exposure to losses. Manufactured homes in coastal areas have their own unique set of circumstances. Manufactured homes require additional planning and preparation for flood events. Follow the link below for additional information. Building a home on the Carolina Coast is one of the most rewarding ventures. A properly designed and constructed home will bring many years of enjoyment. The following are some considerations necessary for planning and building in Brunswick County. Determine if the lot or property you are building on will meet the required zoning setbacks for new construction. ALWAYS check with the Code Administration Department AND the Floodplain Management Department before you build, alter, degrade or add fill soil to your property. If you are building in a CAMA area, be sure to learn more about CAMA at https://deq.nc.gov/about/divisions/coastal-management/coastal-management-permit-guidance/permit-required. Review FEMA’s technical resource Residential Coastal Construction. 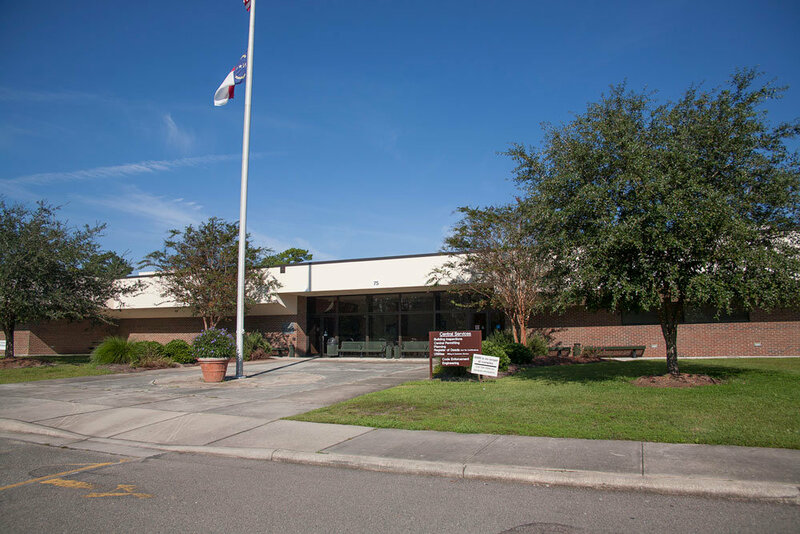 Contact the Brunswick County Central Permitting Office at (910) 253-2021 for building permits. All activity to include building, alterations, degrading or adding fill soil to your property, requires a Flood Development Permit. For information on rules for substantial improvements and damage, contact the Brunswick County Floodplain Administrator at (910) 253-2046 or visit the Substantial Improvement/ Damage Desk Reference.